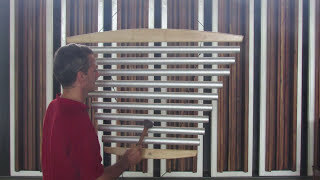 Big rotating chimes with 9 tones and 1 meter length. They are not designed to be hand held but fixed on a stand and rotating. They create very beautiful and impressive sound field all around. Ideal for many types of music therapy and sound healing. They can be well combined with small swinging chimes. Including soft cover and mallet.